Transport officials have been criticised after severe traffic jams brought Tsing Ma Bridge to a standstill on Monday, the first working day that a two-way toll system was implemented. The new new arrangement was implemented on Sunday, requiring motorists to pay a fee on their outward and return journeys, as opposed to paying for both legs on the return journey. Some lanes are still closed until December as toll booths have not been installed. Photo: Apple Daily. The government says the new system is necessary in order to prepare for the opening of the Hong Kong-Zhuhai-Macau bridge. 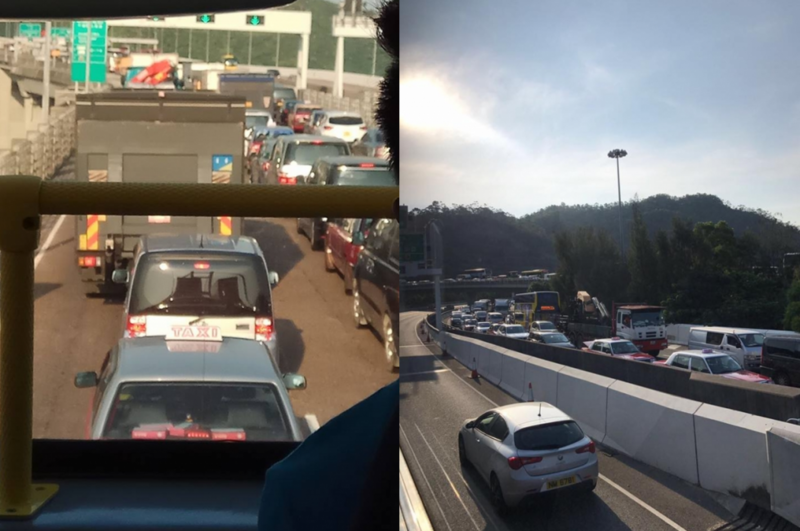 On Monday morning, Tsing Ma Bridge, Tai Lam Tunnel, and Tuen Mun Road were severely gridlocked in the direction of the airport, according to RTHK. Some toll booths are still not fully constructed and several approach lanes remain closed. Chief Transport Officer Wendy Leung said the congestion may be attributed to drivers’ lack of familiarity with the new arrangement, causing them to take longer to produce the right change for the toll. The Transport Department was slammed by lawmakers from both political camps on Monday. Pro-establishment lawmaker Ben Chan Han-pan, the chair of the Legislative Council’s transport panel, said that the two-way toll should not be implemented until related construction is complete. He said that the head of the Transport Department told him that two more toll booths would be open tomorrow. “The lack of familiarity among drivers, along with the small number of toll booths led to today’s traffic congestion,” he said. 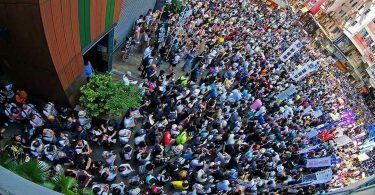 Democratic Party lawmakers protested in front of the Transport Department headquarters Monday afternoon, saying it mishandled the matter. 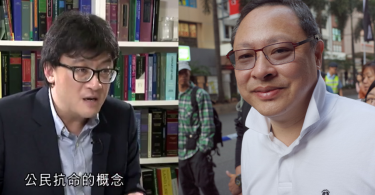 Lam Cheuk-ting urged Secretary for Transport and Housing Frank Chan Fan to to suspend the toll arrangement in order to avoid more congestion on Tuesday. “The two-way toll arrangement should be implemented according to the opening of the Hong Kong-Zhuhai-Macau Bridge, but the Transport Department is already using residents as laboratory mice before it opens,” Lam said. His colleague Andrew Wan said that adding a few toll booths may not eradicate congestion, adding that the situation will only worsen after the school term begins in September. 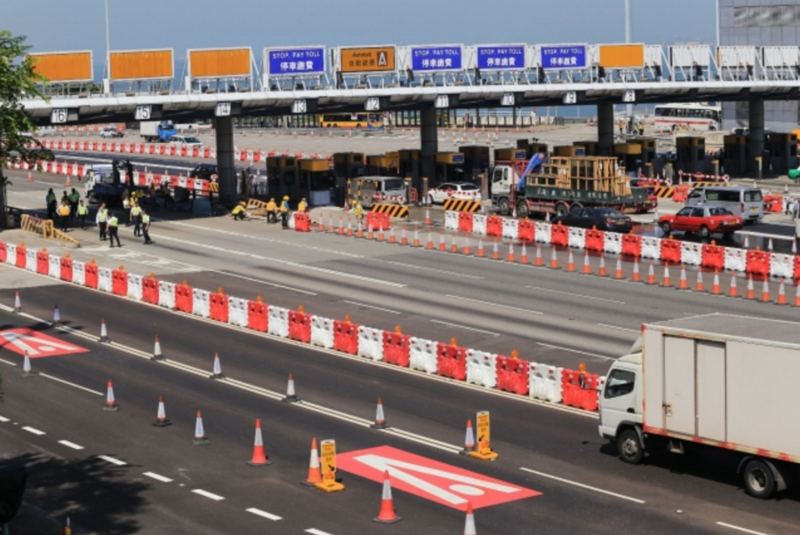 “The Lantau Link does not have enough toll booths right now to handle the amount of traffic, and [newly] added toll booths will only be operational in December – this is simply an improper arrangement, the transport secretary should apologise to residents,” he said.